Thanks for visiting our car buying site. If you have questions about any of our calculators, or general questions about buying a car, please feel free to say hi. 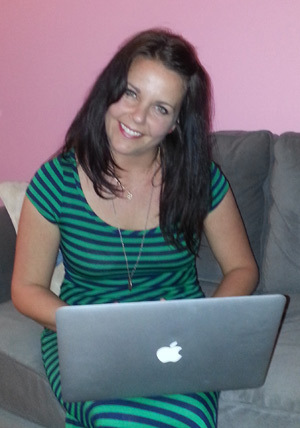 I'm Amber Satka, and I created this site for people just like me, who want simple and realistic car loan calculations. It's been over 7 years since my first car loan, and I made a few mistakes when I started. Most importantly, I remember going to a few bank-sponsored websites and using their calculators to see what I could afford & then I took out a dealer loan without reading the fine print about the early payoff penalty. There were a few key pieces of information which I felt would have helped my financial decisions, such as the total cost of the vehicle, sales tax, downpayment, and realistic interest rates. I feel the we, as consumers, may be using loan calculators that are mathematically correct, but lacking the real-world inputs. Total Vehicle Costs and Downpayment: If I'm not able to input the full cost of the vehicle, PLUS my down payment, it's hard to see how much savings there are in financing as little as possible. Sales Tax: I'm going to have to pay it, so why not throw it into the equation too! Interest Rates: Most people have no idea what their interest rate will be until they begin the paperwork at the dealership, which is understandable. However, if the interest rate field is already populated by the absolute lowest rate for people with perfect credit, it leads my mind into thinking that my rate won't be too far off. This throws off my research since it skews what kind of car I can afford in the first place, let alone being able to make the monthly payments. So here I go, providing a tool that I would have found more useful those 7 years ago. It's something a little more down-to-Earth, and I hope you can use it and save money on your next major purchase. I tried to offer tips & advice on each calculator page, so please take time to read through those as well, as some tips can easily save you hundreds to thousands of Dollars in interest & other fees.